Be the first to share your favorite memory, photo or story of Mr. Steve. This memorial page is dedicated for family, friends and future generations to celebrate the life of their loved one. 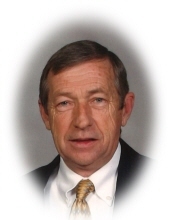 Mr. Steve Randell Archer, age 67 of Carrollton, Georgia passed away Wednesday, March 20, 2019. Mr. Archer was born in Fulton County, Georgia on January 7, 1952, the son of the late Richard Berry Archer and Snowdell Miller Archer. He retired from Flowers Baking Company as Director of sales after 48 years of service. He was an avid poker player, golfer and enjoyed deep sea fishing. He was a man that loved his family, kids and grandkids with all His heart. He showed love to so many people and was the most selfless man and helped so many people. Survivors include his children, Michelle Archer, Patricia Archer, Cynthia Archer, Michael Archer and Candace Archer all of Carrollton; grandchildren, Brittanie Hardeman Marks, Destanie Hardeman, Jacob Phelps, Cain Archer, Cobie Chandler, Hallie Lewis, Savanna Chandler, Kaleb Archer, Cameron Chandler, Aubree Archer, and Addie Laine Meeks; great-grandchildren, Bentley Hardeman, Kayden Holshouser, and Emmie Ruth Marks; siblings, Linda (Pat) Guadaitis, Diane (Danny) Richardson, Bobby (Sarah) Archer, Mike (Sheila) Archer, Gary (Pam) Archer, Jimmy Archer and several nieces and nephews. Besides his parents he was preceded in death by his wife of over 48 years, Sherry Diane Hamby Archer and a brother, Ronnie Archer. The family will receive friends at Almon Funeral Home Tuesday from 5 p.m. until 8 p.m.
Funeral service will be Wednesday, March 27, 2019 at 1 p.m. from the chapel of Almon Funeral Home with Pastor Eddie Allen officiating. Interment will be in Forest Hills Memorial Gardens at 3:30 p.m., 722 Conley Road, Forest Park, Georgia 30297. "Email Address" would like to share the life celebration of Mr. Steve Randell Archer. Click on the "link" to go to share a favorite memory or leave a condolence message for the family.